From New York Times and USA Today bestselling author Jennifer Probst comes a new story in her Stay series. Jonathan Lake is the beloved NYC mayor who’s making a run for Governor. His widowed status and close relationship with his daughter casts him as the darling of the press, and the candidate to beat, but behind the flash of the cameras, things are spinning out of control. It all has to do with his strait laced, ruthlessly organized assistant. Her skills and reserved demeanor are perfect to run his campaign, but her brilliant brain has become a temptation he’s been fighting for too long. Can he convince her to take a chance on a long-term campaign for love or will his efforts end up in scandal? Alyssa Block has admired the NYC mayor for a long time, but her secret crush is kept ruthlessly buried under a mountain of work. Besides, she’s not his type, and office scandals is not in her job position. 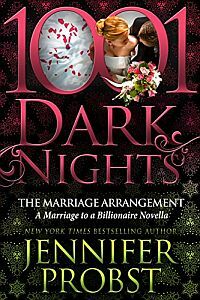 But when they retreat to an upstate horse farm for a secluded weekend, the spark between them catches flame, and Jonathan sets those stinging blue-eyes on winning her. Can she convince him to focus on the upcoming election, or will she succumb to the sweet promise of a different future?